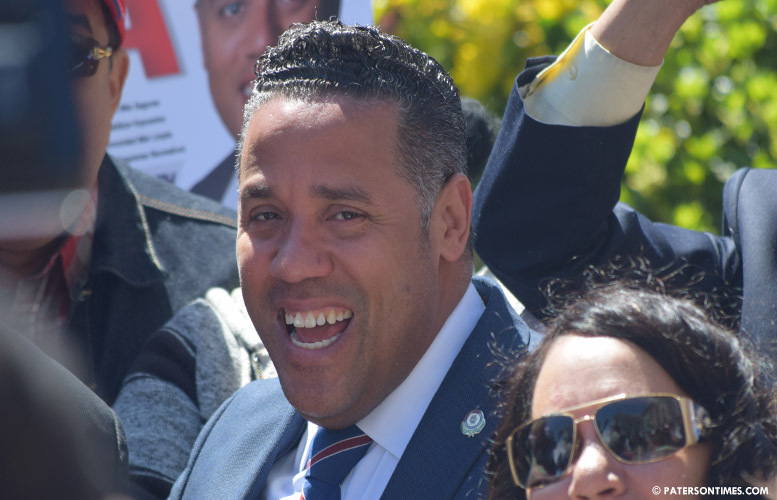 Councilman Alex Mendez, who has been accused of using “dark” and “dirty” money to finance his bid for mayor, has failed to timely file his campaign finance report for the second time in this race. Mendez’s 11-day pre-election report which was due last Friday has yet to be received by the New Jersey Election Law Enforcement Commission (ELEC) as of 10 a.m. Friday morning. His failure to file the 29-day pre-election and now the 11-day pre-election reports leaves voters in the dark as to who is funding his campaign and where that money is being spent. Mendez did not respond to a call for comment seeking an explanation for his failure to file on Friday morning. Of the six candidates, three – councilmen Andre Sayegh, William McKoy; and former school board member Pedro Rodriguez — filed their 11-day pre-election reports. Councilman Michael Jackson on Friday said he is working on filing his soon. Police officers’ union president Alex Cruz did not respond. Five of the six candidates filed their 29-day pre-election reports with the exception of Mendez. “It proves there’s a pattern of irresponsibility and recklessness. He’s doing things in the dark,” said Sayegh referring to Mendez. Sayegh pointed out Mendez failed to file his state financial disclosure statement that was due last month. The disclosure statement requires officials to report the income sources of all members of their household. “The man is allergic to transparency,” said Sayegh. “He needs to be exposed.” He has been exposed. Mendez’s campaign and personal finances are in shambles. He has had 46 bounced checks from his campaign account. He has failed to timely pay sewer and water bills. And his two transportation companies owe more than $14,000 in judgments to the state. Mendez has denied the judgments, but the firms are registered under his name and home address. Mendez has said he is running a campaign with very little resources, but his claim is betrayed by large number of campaign signs throughout the city. Rodriguez said Mendez has a mobile headquarter, a television show, and commercials on Dominican television. He is also running internet ads. “It’s indicative of how you are going to run your administration,” said McKoy of Mendez. “You can’t just ignore the rules.” Two mayors — Jose “Joey” Torres and Martin Barnes — in the last two decades served prison time for ignoring the rules. The six men are battling to succeed Torres. He was removed from office late last year. Council members installed retired city clerk Jane Williams-Warren to serve in the interim until voters next week pick a mayor. Sayegh raised $246,016. He has $60,000 on hand. McKoy raised $95,400. He has $24,250 on hand, according to his 11-day pre-election report. Cruz’s 11-day pre-election has yet to be received by the state. He had raised $113,263 and had $15,195 remaining in his account, according to his 29-day pre-election report. Jackson did not file an 11-day report. He raised about $20,000 for his campaign and has $1,000 in his campaign account, he said on Friday. Mendez. State has yet to receive his 11-day and 29-day reports. Rodriguez said he pumped another $75,000 of his own money into the campaign. He has been self-funding his run, he said. This would put his total raised at $296,000. Sayegh reported an additional $23,800 through 48-hour filings. This brings his fundraising to $269,816. Rodriguez is now leading Sayegh in fundraising. FAILED seems to be Mendez's middle name.